Asbury Memorial Theatre has announced the cast for their 2017 spring production of “Steel Magnolias,” which will take place at 7:30 p.m. Friday and Saturday, March 3, 4, 10, and 11, and at 3 p.m. on Sunday, March 5 and 12 at the church, located at 1008 E Henry St., Savannah. Asbury Memorial Theatre is a thriving community theater. Since 1994, Savannah audiences have delighted in the Theatre’s plays, musicals, revues and light opera productions, which have earned several Best of Savannah awards. The show, which is being directed by Carmel Garvin Hearn, is set in a small town in Louisiana where 6 women gather to have their hair done and share a bit of gossip at Truvy’s Beauty Salon. The New York Daily News acclaimed “Steel Magnolias” as a “superb, funny, deeply moving play.” The characters are true steel magnolias: southern belles who are flowery on the outside, but tough as steel inside. The play is alternately amusing and touching with sharp dialogue as well as interesting and challenging roles. Frannie Williams, who will take on the role of Truvy, is a graduate performing arts student at Savannah College of Art and Design, where she is working to obtain her master’s in fine arts. “It has been an amazing experience working with Asbury Memorial Theatre. I was honestly nervous to audition at first as a woman of color for this part.” said Williams. She continued, “I was so excited when I learned that not only were they glad that I came to audition, but they knew they wanted me in the play even if they had to write a role for me. Asbury participates in color blind casting and gives all performers an opportunity to shine. We are excited to see everyone soon at Asbury! As my character, Truvy, says, “Laughter through tears is my favorite emotion.” Come join us for a some good laughs and beautiful tears! She recently appeared in the production, “Extremities,” as Marjorie. 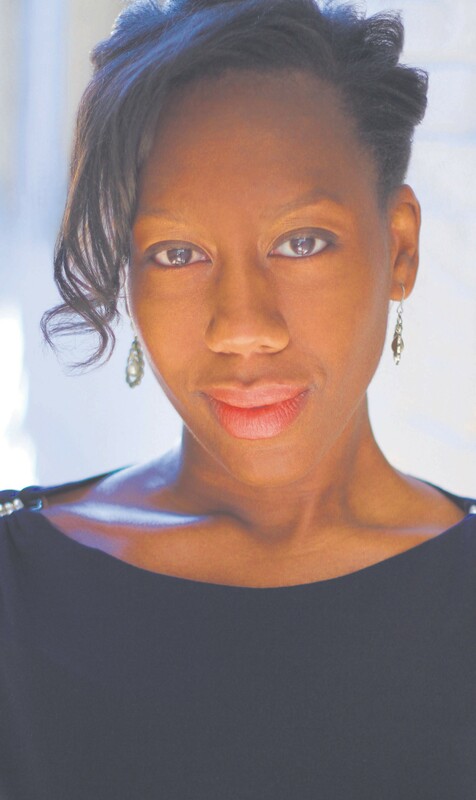 She was an original member of the performance improv troupe, Mom’s Adhesive, based in Charlotte, NC, where she appeared as Lucy in the production “Sweet Jenn.” Williams earned her Bachelor of Arts from the University of North Carolina at Greensboro in media studies and has worked in media productions for companies such as Subway and IBM. Vamie Schulz is thrilled to portray the role of Shelby Eatenton Latcherie. Ginger Miles is pleased to join Asbury Theatre as Ouiser Boudreaux in “Steel Magnolias,” having performed with theater groups at Georgia Southern University, in Columbia, SC, and Savannah. Toye Hickman’s first performance was as Truvy Jones in “Steel Magnolias” with Coastal Stage Productions and she is excited once again to perform in this production, this time playing Annelle Dupuy Desoto. Pat Prokop will serve as the show’s radio DJ – a role that utilizes Prokop’s vocal talents, although he never makes a stage appearance. Prokop is an active member at Asbury Memorial United Methodist Church and is vice chair of the theatre board. He is a retired broadcast meteorologist, having served 35 years at WTOC TV. Carmel Garvin Hearn has appeared in community theatre productions in Savannah and Atlanta, most recently in Savannah Community Theatre’s 2016 production of “Johnny Mercer and Me” at the Lucas. Alex Hearn Swanger, stage manager, has managed numerous productions in high school and college, most notably “How to Eat Like a Child” at Etowah High School in 2006, which won a regional competition and placed third at a state competition. Rachel Veazey, assistant stage manager, has appeared in theatre productions in Charlotte, NC and most recently as Antonia in Weddington High School’s “Man of La Mancha.” Tickets for this production cost $15 each ($10 each for groups of 10 or more) and can be ordered by calling 912-233-3595 or visiting Asbury Memorial Theatre’s website. To learn more about the Asbury Memorial Theatre, please visit www.asburymemorial.org/theatre. To learn more about this production of Steel Magnolias, please visit Steel Magnolias in Savannah.